Visit the Graça Morais Contemporary Art Museum in Bragança, Portugal. This museum was opened in 2008 in Bragança thanks to the cooperation between Spain and Portugal as regards culture. 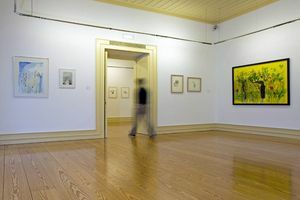 The museum houses a permanent collection by painter Graça Morais, composed of evoking portraits of the inhabitants of Trás-os-Montes, as well as more abstract works. The museum also hosts temporary exhibitions. Rua Abílio Beça, 105, Bragança. Children 10 years old, or younger: Free admission. Tuesday through Sunday from 10:00 to 12:30 and from 14:00 to 18:30.